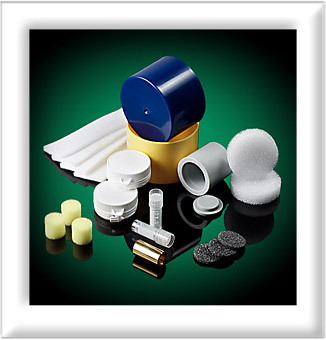 The leader in custom lead shielding products for medical applications and radioactive waste. Since 1974, Medi-RayTM has been the largest supplier of radio-pharmaceutical shipping containers. The following video discusses some of the lead radiation shielding products manufactured by Medi-RayTM. Since 1974, Medi-RayTM has been the largest supplier of radio-pharmaceutical shipping containers. This slide discusses some of the lead radiation shielding products manufactured by Medi-RayTM. Click here to download PPT format. Lead shielding refers to the use of lead to shield or protect people or objects from radiation. Because of its high density and high atomic number, lead can effectively fade certain kinds of radiation. Lead containers are designed for the storage and shipment of radioactive materials. In most of the cases, outer dimensions and appearance are almost same; the difference lies in the thickness of lead shielding. Medi-Ray fabricates lead containers for radioactive pharmaceuticals, nuclear applications, radioactive source storage, and waste containers. All containers feature interlocking component designs that guarantee no radiation leakage and provide safety during handling and transport. From outside, these containers are plastics shelled, that protects you from physically touching lead, which is a toxic metal. Medi-Ray can design and manufacture these lead shielding containers in multiple sizes that can accommodate hundreds of lead wall thicknesses, cover designs, and locking mechanisms. These lead shipping containers are manufactured from A36 or 44W carbon steel. All hardware used from heavy-duty hinges to locks is of the highest quality. Extreme care is taken in the surface preparation to all surfaces for the supply and application of a finish coat of paint to the desired color. All storage containers are available with your choice in lead shielding from 1/32″ to 2″ thick or more. Medi-Ray offers “just-in-time” delivery schedules for its clients to reduce customer inventory costs and to deliver mutually economical delivery quantities. Medi-Ray maintains a safety stock of castings, components, and finished products to guarantee timely delivery. Medi-Ray quality control procedures are refined and expanded to include inspection procedures stipulated by customers. Certification by Medi-Ray quality control personnel accompanies each shipment. Radiation Protection, otherwise known as radiological protection, is the science and practice of protecting people and the environment from the harmful effects of Ionizing Radiation. Ionizing radiation is used in many aspects of industry and medicine, and as a result can present significant health hazards. Such radiation causes microscopic damage to body tissue, which can lead to skin burns and radiation sickness at high exposures, as well as heightened risks of Cancer at low exposures. Radiation protection is divided into a number of different categories, as there are many different factors to consider when it comes to protecting individuals from radiation, as well as keeping their surrounding environments radiation free. Radiation exposure is managed by a combination of three factors, these being time, distance, and shielding. Time refers to reducing the amount of time that individuals spend exposed to radiation equipment, while still ensuring that patients receive their appropriated dosage. Distance, refers to increasing the distance between radioactive equipment, and the individuals surrounding it. Finally, shielding refers to absorbing material placed around radioactive sources, to reduce the amount of radiation to a level that is safe for humans. Types of shielding may include lead sheets in the walls surrounding an x-ray room, lead glass or screens on the viewing room for operator safety, and lead aprons for patients to wear. The effectiveness of such shields depends on shield thickness. Mediray has developed clinic, laboratory, and medical office products for various types of x-ray applications, using such materials as lead castings, sheet lead, and lead foil. Radiation has wide ranging uses in day-to-day life. In medicine, there are many uses for radiation like x-ray, mammography, computerized tomography (CT), cardiology and nuclear medicine. Treatment of disease or cancer by chemotherapy uses radiation. The wide ranging use of radiation in medicine poses the challenge of shielding radiation exposure to parts of the body other than where where it is intended. Also, doctors, relatives and friends of patients or others who have to be associated with the place where radiation is exposed or radioactive materials are stored or transported need to be protected as well. Lead has long been recognized as a highly effective material in providing protection from various sources of radiation, and as such, has become a standard in the design of radiation protection systems. Lead shielding refers to the use of lead to shield people or objects from unintended radiation. Lead can effectively contain certain kinds of radiation because of its high density and high atomic number; principally, it is effective at stopping alpha rays, gamma rays, and x-rays. Why Does Lead Work for Radiation Shielding? Lead has high density, a result of the combination of its high atomic mass and the relatively small size of its bond lengths and atomic radius. The high atomic mass means that more electrons are needed to maintain a neutral charge and the small bond length and a small atomic radius means that many atoms can be packed into a particular lead structure. Because of lead’s density and large number of electrons, it is well suited for scattering x-rays and gamma-rays. These rays form photons, a type of boson, which impart energy onto electrons when they come into contact. Lead has long been recognized as a highly effective material in providing protection from various sources of radiation, and as such, has become a standard in the design of radiation protection systems. Lead shielding refers to the use of lead to shield people or objects from unintended radiation. Medi-Ray – What Sets Us Apart? Why is Lead the Best Material for Radiation Protection? What Is Nuclear Medicine and How Does It Work? Fill out our online form to get quick product.